Is our democracy decimating indigenous multilingualism? Timing of this post is apt, as it is published in the Youth Month in South Africa. It has been 35 years since Soweto students protested on June 16 against usage of Afrikaans language as a medium of instruction under the then Bantu Education system. Let me start by briefly sharing my family history to set the context. My great grandparents moved from Swaziland, their birth place, in the early 1900’s and made South Africa their new home. Both my Zulu-speaking grandfather and father married South Sotho women and raised their respective families in Sharpeville, an area with predominantly South Sotho speaking inhabitants. I can speak 6 Black languages – isiZulu, isiSwati, isiXhosa, Sesotho, Sepedi and Setswana – with varying levels of fluency, of course. While my upbringing was of a typical Black child of my era, I have always had a fascination for indigenous languages. My back-of-the-match-box maths indicates that a 3rd of Black South Africans can speak more than one indigenous Black language fluently. In my assessment, the repressive Group Areas Act and associated apartheid laws played a significant role relating to indigenous multilingualism. Let me explain why. During the apartheid rule, Black kids growing up in racially demarcated areas (“famously” called townships) found around cities, major towns and industrial areas within South African borders spoke at least 2 indigenous Black languages in order to fit in, make friends, fall in love and be able to enjoy the limited pleasures their locales provided. Indigenous multilingualism was by and large influenced by a confluence of the following factors – predominance of population groups in given areas (e.g. aMa-Zulu in KZN, aMa-Xhosa in Eastern Cape, Basotho in the Free State, Bapedi in Limpopo, etc); parents’ search for job opportunities and government-controlled economic migration that was driven by the need for labour in booming mining and manufacturing areas such as the Eastrand, Westrand and Johannesburg; intercultural marriages; general dominance of certain indigenous languages (e.g. isiZulu) over others (Tshivenda); and regulated SABC entertainment with widely popular TV dramas where dialogue was conducted in pure and singular indigenous languages – think of famous characters of the day including Mopheme, Nkwesheng, Ponko, Motsie, Raitlhwana, Deliwe, S’goloza, Nakampe (who later became Pakete in the story), Velaphi, Nolitye, Motlhalefi Molefe, etc – and where sub-titles did not apply. Through the various dramas, TV became an important medium for mass introduction and reinforcement of indigenous languages that average Black kids in some of the various parts of the country would not otherwise have been exposed to. Newly acquired words and phrases heard from the favorite TV characters would be practiced at home with family and especially siblings, friends in the streets where the kids played, and at school. Essentially, statutory confinement coupled with regulated entertainment during the apartheid era dictated that kids growing up in certain areas of the country had to speak multiple indigenous Black languages as part of developing their social skills. While this segregation system was abhorrent, indigenous Black multilingualism was the beneficiary. As democracy set in in 1994, no one anticipated that this will lead to the current pervasive use of English and near-obliteration of indigenous South African languages in mostly the higher LSM Black families. Naturally, incidences of indigenous Black multilingualism are dwindling in this section of the population as a consequence. While the first democratically elected South African government introduced legislation officialising the 9 indigenous Black languages alongside English and Afrikaans, this has not stemmed the current declining usage of the former (this has been my observation and is also based on personal constant battle to keep the indigenous language flag flying high in my own family, and I welcome a debate whether this is indeed widespread). As Blacks are moving into suburbs and/or take their kids to previously White schools where English is the medium of instruction that also gets increasingly spoken in the Black homes – apparently as per school teachers’ advice that Black kids “need to practice the language at home so they can grasp it quickly and cope better in class” – the role of indigenous multilingualism is diminishing. To exacerbate matters, suburban Black kids live behind high walls at home and use digital gadgets that allow them to connect on MIXit and relevant social networks, and these replace physical contact with other Black kids where spoken word would be strengthened, hopefully using indigenous languages. In extreme cases, some Black parents speak only English in interactions with their kids, with the result that they (the kids) cannot speak any indigenous Black language (and this is a bad recipe for preserving a culture, as I wrote in my previous post titled Education, language and culture). For the majority of Black South Africans, the proliferation of TV channels that predominantly use English as a medium, and poetic license used in mixing indigenous languages with English in popular local dramas such as Generations, is putting a further nail in the indigenous multilingualism coffin. In the final analysis; freedoms of choice, movement and association have dealt a blow to indigenous multilingualism. This has been lead by suburban social lifestyle, the school environment and TV that is still a big form of mass communication. Should we be worried about the declining indigenous Black multilingualism? My answer is a resounding yes! Ability to speak multiple indigenous languages is a basic requirement for broader social integration in a country as diverse as South Africa. In other cases, it is a key survival skill. Just ask Black South Africans who speak Xitsonga and Chivenda, and who are still forced to learn other indigenous languages to be able to “fit in”. Or ask African refugees in South Africa, who face daily challenges due to their inability to communicate in local languages. 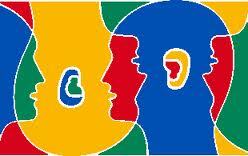 What is your view on indigenous multilingualism? I am the founder of eNitiate Integrated Solutions, a digital marketing company. I am also co-founder of Nuffdotty and Diski4life. I am an infopreneur, digital strategist, avid marketer, and an eternal student. You can also check out my latest post on InMarketingSpeak, a blog about Marketers’ relationship with digital marketing.